Emergency road service (ERS) is exactly what the name implies – an emergency service rendered by official ERS centers who are under contract with AAA. It is not a substitute for maintenance or repair. Rather, this valuable service is designed to help you, our members, through any unexpected problems you may have with the vehicle in which you are driving or riding. ERS is available 24 hours a day to assist you if your vehicle becomes disabled, provided your vehicle can be safely reached from a normally traveled road or established thoroughfare. AAA will tow you to the responding ERS facility, or to a destination of your choice, up to five (5) miles in any direction from the vehicle’s point of disablement. We cannot guarantee, however, that all ERS facilities stock parts and are equipped to service and repair all makes of automobiles, or that repairs can be made after business hours or on weekends. Note: AAA Minneapolis reserves the right to amend service rules and regulations with notice in Live | Play | AAA, our Club’s bimonthly publication. Dues, once paid, are not refundable during a membership year, as they are allocated to the various costs of providing benefits when received. Mechanical first aid includes minor adjustments at the point of disablement if parts, materials, or supplies are not needed to make the vehicle run on its own. Please note that the complexity of modern engines limits the extent of mechanical first aid that can be performed at the scene. An attempt will be made to start your vehicle using the service vehicle's s auxiliary starting system. This is only a temporary remedy, however, and your vehicle should be taken to a repair facility for a complete diagnosis and repair. An emergency supply of fuel will be delivered to a member's s disabled vehicle enabling the member to reach the nearest open service station. Note: member is responsible for the cost of the fuel at current pump prices. If your vehicle's spare tire is inflated and serviceable, it will be installed to replace a flat tire. If your ignition key is locked inside the passenger compartment, service will be sent to gain entrance. If the vehicle ignition key is lost, broken, or the service provider can not gain entry, locksmith service is covered up to $75, or the reimbursement of commercial locksmith up to $75. If no locksmith coverage is available, towing benefit applies. If your vehicle is stuck in a ditch, mud or snow, it will be freed provided it can be reached from a normally traveled road or established thoroughfare with a service vehicle's ordinary towline. If special equipment, more than one truck, or more than one person is required, the associated cost may be at the member's expense. When your vehicle cannot be rendered drivable after attempting any of the emergency procedures provided, or when, in the service person's judgment, the vehicle cannot be placed in a safe driving condition, you may have it towed to the responding ERS facility, or up to five (5) miles in any direction from the vehicle's point of disablement (as soon as a proper towing vehicle is available). NOTE: one tow per disablement. When streets are impassable or when conditions make towing dangerous, a temporary suspension of towing may occur. AAA Plus expands coverage to cover the cost of the emergency supply of fuel delivered to your vehicle. AAA Plus expands coverage or reimbursement up to $125 in parts and labor for locksmith service if such service is required to gain access to the vehicle or make it operable. * Financial limits shown for AAA Plus and AAA Premier lockout coverage are for service within AAA Minneapolis club territory and will be handled by reimbursement up to the stated limits if service is required outside of club territory. AAA Plus expands coverage to include the delivery of services by a second truck and operator for up to one hour, along with any special equipment at the scene of disablement. If the vehicle is unable to be operated after extrication, the extended towing benefit will apply. AAA Plus provides for up to 100 miles towing from point of disablement to the destination of your choice, at no charge. AAA Premier expands your coverage from 4 to 5 service calls per membership year. AAA Premier expands coverage to cover the cost of the emergency supply of fuel delivered to your vehicle. AAA Premier expands coverage or reimbursement up to $200 in parts and labor for locksmith service if such service is required to gain access to the vehicle or make it operable. AAA Premier expands coverage to include the delivery of services by a second truck and operator for up to one hour, along with any special equipment at the scene of disablement. If the vehicle is unable to be operated after extrication, the extended towing benefit will apply. If you become locked out of your home, lose your keys, or your keys are stolen, you can receive up to $200 in locksmith services to gain access to your home from the outside. Services may include picking or drilling the lock, changing locks, re-keying, or cutting a replacement key. Home lockout service is reserved for a AAA Premier member's primary place or residence within AAA Minneapolis club territory and excludes all other buildings or locked areas. Any charges in excess of $200, as well as all charges associated with any other residential locksmith services, are at the expense of the AAA Premier member. Home lockout service is limited to one usage per Premier household per membership year. Current members can upgrade their present level of service to AAA Plus or AAA Plus RV within 30 days of enrollment or at the time of membership renewal. Reminder: AAA Plus and AAA Plus RV coverages are effective upon receipt of your permanent membership card, or twenty-one (21) days after receipt of payment. AAA members are entitled to service on any vehicle they may be driving or riding in as a passenger at the time of vehicle breakdown. Service follows the member, not the vehicle, including when the member is driving or riding in a rented vehicle. Non–members are not eligible for service. AAA is a member–sponsored and supported organization. To increase the value of your AAA membership, please remember that members may not use their card to obtain service for a non–member. ERS applies to four–wheel motor driven passenger, pleasure or recreational type vehicle (vans, campers and motor homes) provided services can be safely delivered. Dual–wheel unloaded pickup trucks are provided all services except tire service. Dual–wheel campers/motor homes will be provided all services except towing, extrication/recovery and tire service. Coverage for these services is available with AAA Plus RV. Rented passenger vehicles and commercial vehicles are eligible for service with the exception of taxi cabs and limousines. Service is available to travel trailers and motorcycles only with AAA Premier RV coverage. Service for boat, motorcycle and snowmobile trailers is provided under AAA Plus RV within AAA Minneapolis service territory, and will be handled by reimbursement if service is unavailable outside of club territory. This is your automobile club! We have tried to design an ERS program that meets the emergency demands of AAA members. However, AAA cannot guarantee that service will always be available in all areas and under all circumstances. For example, severe weather may cause unavoidable delays and service limitations, even though all involved are doing their best. In such cases, service will be provided in order of priorities; servicing stranded members will be a top priority. We appreciate your patience and understanding during these emergencies. AAA will help members get assistance when special equipment is required, or for services not covered under the policies outlined here. If your vehicle cannot be made operable upon providing the services listed in here, AAA will assist you in finding the nearest open place of repair. If a repair facility cannot be located, AAA will assist in obtaining lodging or alternative transportation. Charges for services that exceed the benefits listed will be at the prevailing hourly or mileage rate of the region where service is provided. 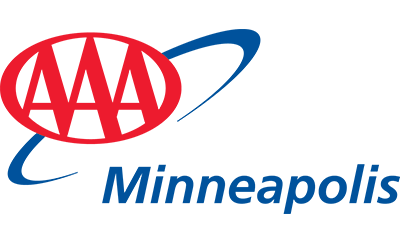 Based on a survey of the membership, the AAA Minneapolis board of directors has established a policy that provides four (4) calls for each member during each membership year. Calls in excess of this limit will be processed, but on a cash basis, paid to the service driver. In fairness to the overall membership, service is to be used within reasonable limits. The Club reserves the right to cancel a membership if we believe there is an abuse of service, as determined by the Membership Services Committee. All AAA Minneapolis ERS centers, and those approved through other AAA clubs, have been carefully selected based on their business integrity and ability to provide members with prompt, courteous and reliable ERS service and repairs. Your patronage of these service centers will help ensure that the quality of service through which AAA has built its reputation – a reputation going back to its founding in 1902 – continues. If service is unsatisfactory, or if you question charges presented, make a full report to AAA Minneapolis’s ERS Department. AAA will investigate and attempt to resolve your concerns. AAA ERS service centers are independent contractors and not agents of AAA Minneapolis. Therefore, AAA Minneapolis does not assume responsibility for any injuries to persons or property, including damage to a member’s s vehicle, as a result of emergency road service. Damage complaints should, however, be reported to the ERS service center proprietor and to the AAA Minneapolis ERS Department. For more information, or questions regarding Emergency Road Service, send us an email, or call us at 952-927–2727. In the Twin Cities metro area, when you’re out of fuel, stuck, have a flat tire, a car that won't start, need a tow, lose your keys or lock them inside your vehicle, call our Emergency Road Service Department 24 hours a day at 952–927–2727. Outside the Twin Cities metro area, look in the white pages of the telephone book for a listing under "AAA", as road service is dispatched by the local club in many communities. If there is no listing, call the 24–hour nationwide Supernumber – 1–800–AAA–HELP – (1-800-222-4357) anywhere in the U.S. and in Canada, for assistance. In instances when you are unable to obtain assistance directly from AAA, call the nearest service station, pay for the service, and submit the service receipt to your Club for reimbursement consideration. Be prepared to give your membership number, expiration date, name, address, exact location of the car, nature of the problem, the year, make, model and color of your vehicle, the phone number from where you are calling and the tow destination. It is a good idea to have a pencil and paper ready in case you must record specific information. After calling, return to or within sight of your vehicle. Insurance liability prohibits servicing unattended vehicles; illness or injury is an exception. Please cancel your request immediately if you no longer require assistance. Present your current AAA card and driver's license for identification. Sign ONLY ONE completed AAA road service ticket before service is rendered. Members who are unable to present their membership card must be prepared to pay for the service provided, and request reimbursement at contract rates from AAA Minneapolis.